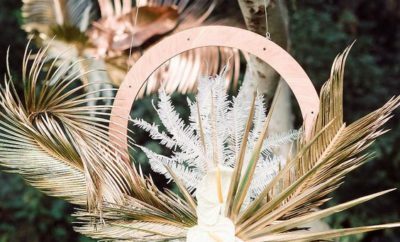 You may love the idea of an intimate dinner in an outdoor barn or the thought of waves lapping your feet as you say your vows, but often these spaces come as they are – meaning you’re left with the additional costs of decorating your chosen venue too. 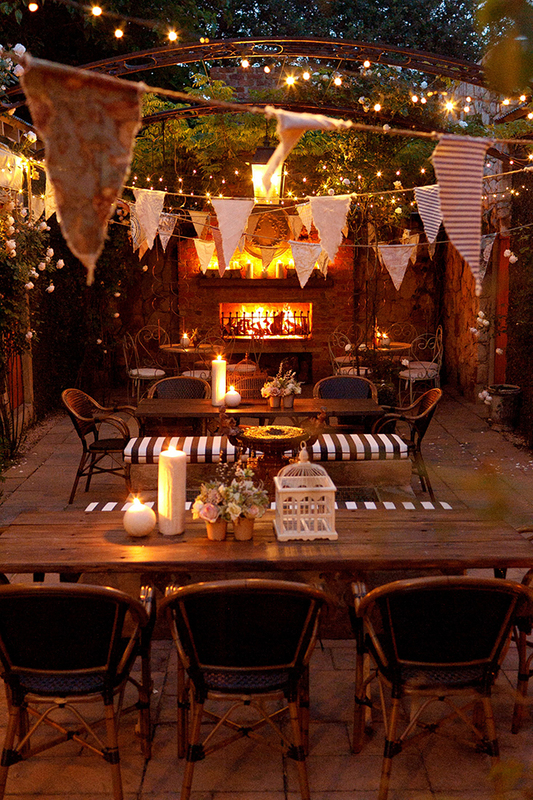 If you’re working on a tight budget or prefer having a fully kitted venue from the get-go, check out these beautiful spaces around the country. 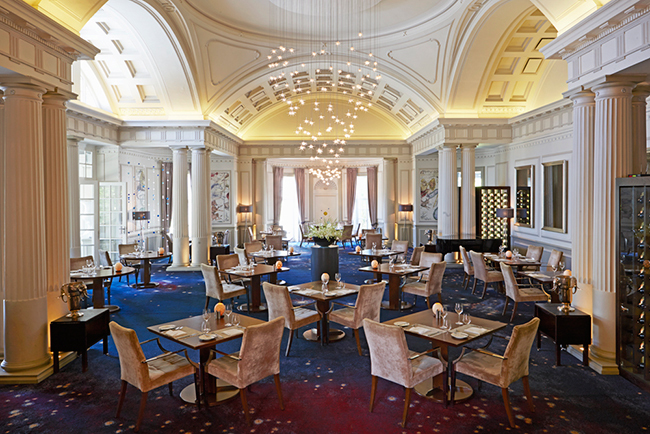 Opulent is the only word that can describe this luxe eatery situated at the Belmond Mount Nelson Hotel in Cape Town. Dotted with a number of majestic arches and boasting an intricately carved ceiling and large windows, it’s a well-lit space for a lunch-time fête. When the sun goes down, the room transforms into a nocturnal haven with sparkling light fixtures and a crystal-studded floor. 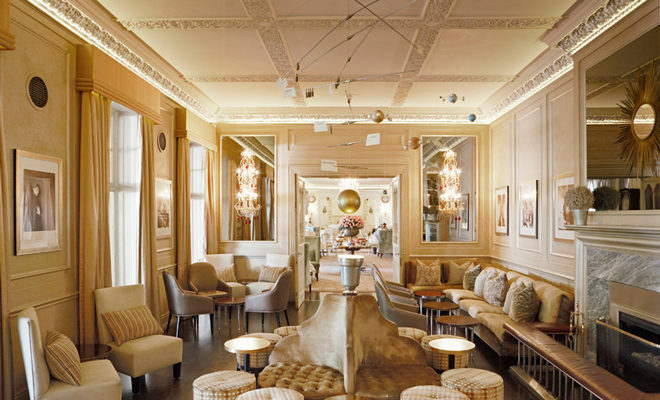 Your guests will enjoy the warmth from the marble fireplace at the bar area, an ideal spot for welcome drinks. 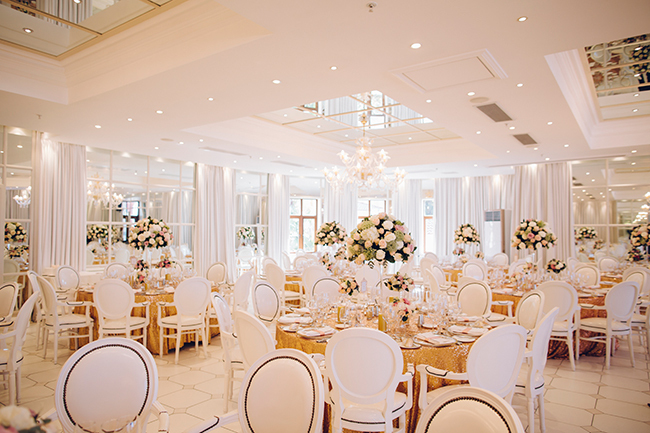 Morrells Boutique Estate is a chic French-inspired sanctuary in the heart of Johannesburg boasting not one but two amazing venues that are perfect for your European-style wedding. Experience an escape to the town of Provence at La Maison, which plays home to a piano room, cigar lounge, chapel, rose garden and olive grove. Prefer a more relaxed vibe? La Grange’s quaint bistro sports eclectic furnishings and is perfect for coffee catch-ups when you slip away from the dance floor. Feel like royalty at this gorgeous Muizenberg mansion that was once the seaside residence of the Italian plenipotentiary Count Natale Labia. Intricate wallpaper and stately chandeliers add to the grandeur of its interior while the estate also houses an art gallery so guests can indulge in a spot of culture while celebrating your union. 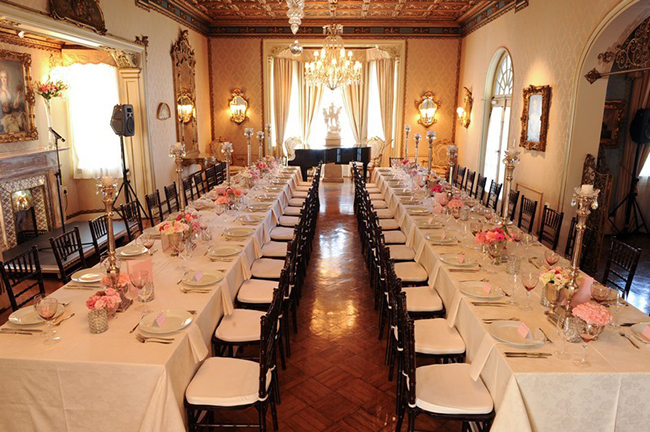 An all-white zone decked out in glistening mirrors, the Pearl Room is every minimalist’s dream venue. Sleek lines and metallic touches form an eye-catching impact that will transport you into a snow-white world not unreminiscent of Elsa’s snow palace in Frozen – without the chill! 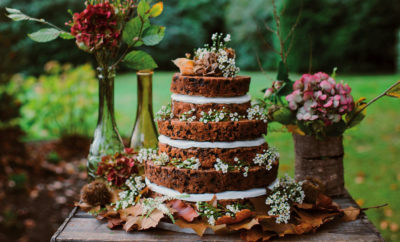 If you’ve been yearning to have your nuptials beneath a canopy of greenery, Grootbos Nature Reserve’s Forest Lodge Boa is an utopian reception site. Paraffin lanterns and cotton linen keep it simple while braziers add a touch of warmth and radiance to this enchanted forest setting. 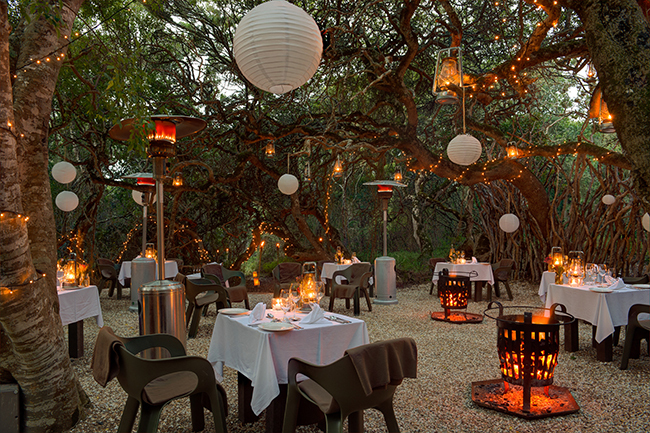 ← Previous Story Win a stay at Zebras Crossing Very Private Boutique Bush Lodge worth R25 000!